Do the words I scream mean anything? I mean no harm, what have I become? Who can I be besides me? 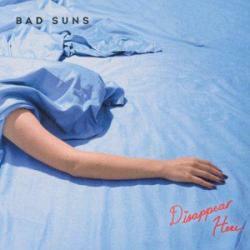 DEFEATED es una canción de Bad Suns del año 2016. La letra ha sido escrita por Raymond Torrey Libby, Gavin Austin Bennett, Miles Scott Atkins Kottak, Christopher Michael Bowman; publicada por Kobalt Music Publishing Ltd., Warner/Chappell Music, Inc..